IoT is returning to launch its third annual Europe event this year in Amsterdam, Netherlands. It will organize IoT Tech Expo Europe 2018, which considered to be Europe’s largest and leading IoT event. IoT Tech Expo Europe 2018 is a 2- day conference, it will take place from 27 – 28 June 2018 at Amsterdam, Netherlands. 2 days of top-level content and discussion. Explore the latest innovations within the Internet of Things and covering the impact it has on many industries. Include Manufacturing, Transport, Supply Chain, Healthcare, Insurance, Logistics, Government, Energy, and Automotive. Introduce the most famous speakers at the event. Highlight the most innovative advancements in technologies in its agenda. 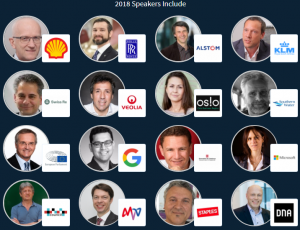 Follow up the IoT Tech Expo Europe 2018 updates here OR discover more Digital Marketing events, conferences & webinars in the USA during 2018 here.